I’m about to let you in on a little beauty secret that will change your skin care regimen for the better! Are you ready for it? 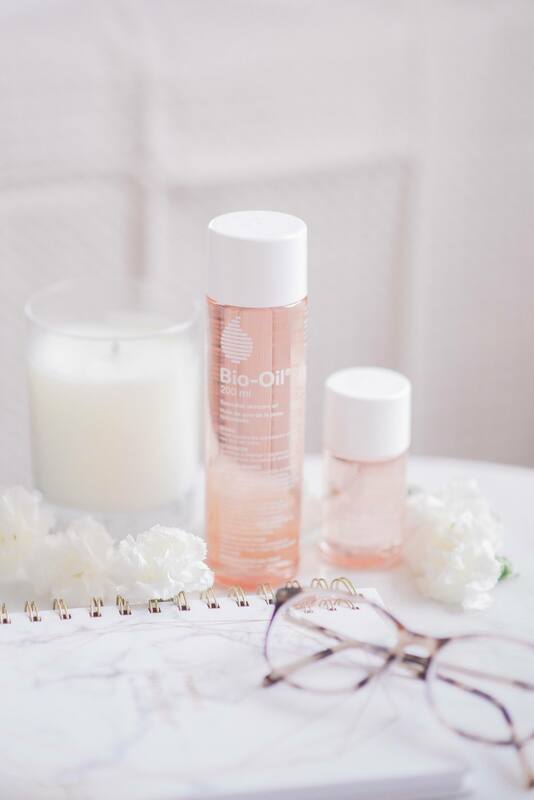 Bio Oil…If you thought it was just for stretch marks you have been mistaken. 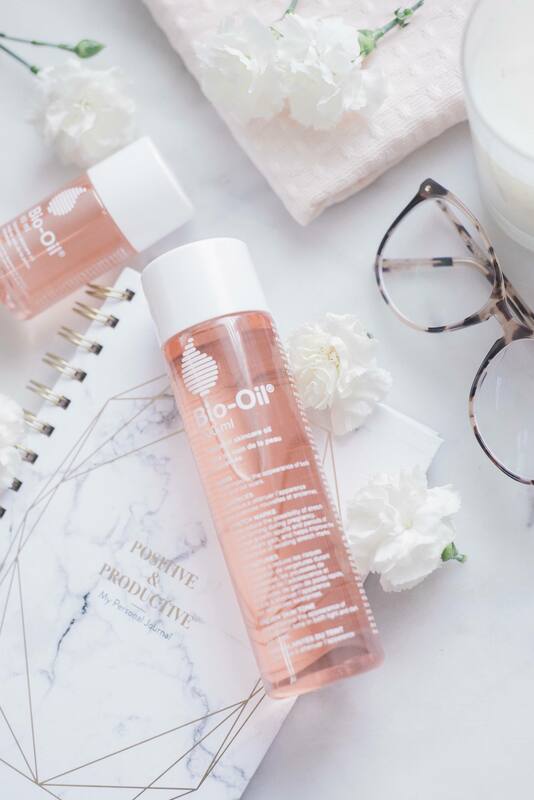 Bio Oil has so many benefits and today I’d like to share five reasons why you need to add this miracle product to your skincare routine. 1. Evens out your skin tone – If you have blotchy skin or red areas Bio Oil can really help even out your skin tone. I use it after toner and let it absorb into my skin before wearing make up. It should be used twice a day to the affected areas in order to see an improvement in your skins appearance. 2. Make Up Remover – Oh yes, it really is a product with multiple benefits. I loathe taking my eye makeup off in the evening but Bio Oil makes it a heck of a lot easier. Simply add a few drops to a cotton ball and gently swipe away. 3. 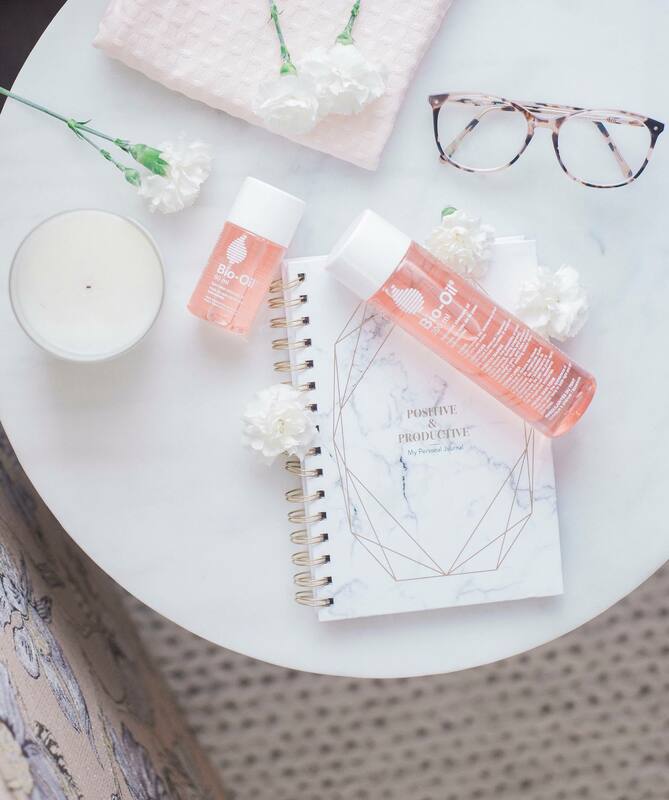 Hydrates your skin – Bio Oil is incredibly hydrating so if you struggle with dryness this is a great option for you. It moisturizes your skin which improves the overall texture and tone, leaving your skin feeling unbelievably soft and smooth. Nobody likes flakey skin in the winter! 4. Anti Aging – If you aren’t already using products to reduce fine lines and wrinkles I suggest starting now. The earlier the better! Bio Oil combines plant extracts and vitamins that help make your skin appear softer, smoother and more supple. Goodbye fine lines and wrinkles! 5. Reduces the appearance of scars – When I was younger I went on accutane because I was constantly breaking out. While my skin is pretty clear now it left me with some acne scarring that has really bothered me. 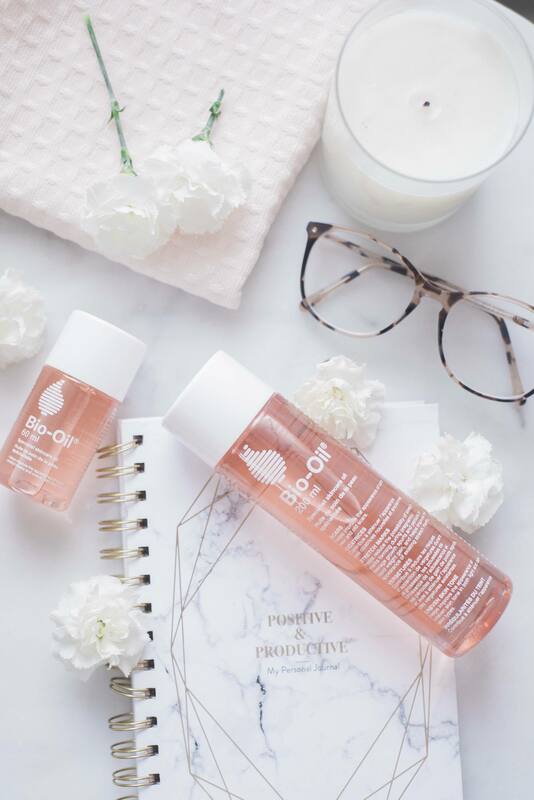 Bio Oil is formulated to help reduce the appearance of scars and while mine aren’t completely gone I can definitely notice a difference in appearance. Have you used Bio Oil before? If so, what did you think? I’ve used it during pregnancy and happy to report I have very few stretch marks. Since then, I’ve been using the product to even out my skin tone, heal scars and keep my skin hydrated. For instance, I fell on ice outside of the kids school and cut my hand open pretty badly. It took forever to heal and I hadn’t thought to use Bio Oil on it. I starting applying it to my scar a month after the fact and a few weeks later I could already start to notice a difference in the scars appearance, it’s thankfully looking much better now. This year I’ll be sharing more benefits to using Bio Oil so be sure to follow along. Would you like to see before and after photos to get a better look at the benefits of using the product? Let me know what you think! This post is in partnership with Bio Oil however all thoughts and opinions are completely my own! Previous Post How We Are Spending Our March Break – PayPal GIVEAWAY!